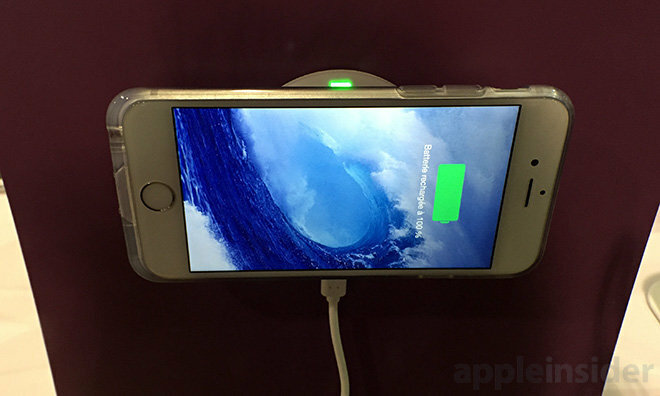 Standing apart from a glut of iOS accessory makers at CES this year was Exelium, with its Up-mobile inductive charging system for iPhone 6 and 6 Plus, and Ultra, a startup that showed off a new iOS-connected UV monitor. 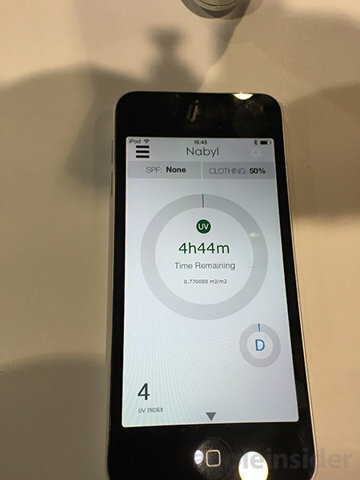 French company Exelium brought its Up-moble magnetic inductive smartphone charging products to the showroom floor, including two new solutions for Apple's latest iPhone 6 and iPhone 6 Plus handsets. Inductive, or wireless, charging methods have been around for years, but Apple's reluctance to manufacture iPhones with replaceable batteries makes it impossible to use "patch" style converters that squeeze in between power contacts. 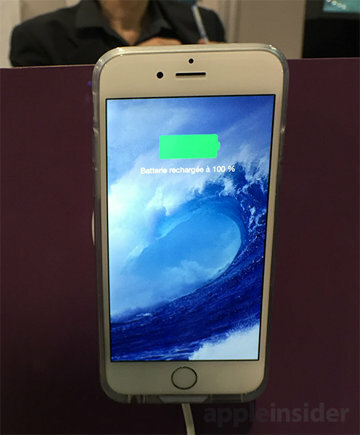 Many accessory makers have instead opted for protective cases with hidden power converters that connect directly to an iPhone's Lightning port. Exelium's Up-mobile product is in the same vein as competing case style chargers, but the company managed to fit its tech into one the thinnest solutions we've seen. Other products have a substantial "chin" to accommodate the internal Lightning plug, but Up-mobile adds on only a few millimeters, much closer to an iPhone sleeve than case. Through the use of magnets, Up-mobile is able to dock with its accompanying power station without inserting wires or fumbling with adaptors. The form factor also allows for flexible setup options like wall mounting, docking in portrait and landscape modes and more. One thing we don't like about current inductive charging solutions for iPhone is that most products block Lightning port access. Elexium told AppleInsider that a Lightning pass-through option is in the works and should be available in February or March. The Up-mobile inductive iPhone 6 and 6 Plus charger is out now for $49 and another $39 to $49 for the base, depending on mounting options. 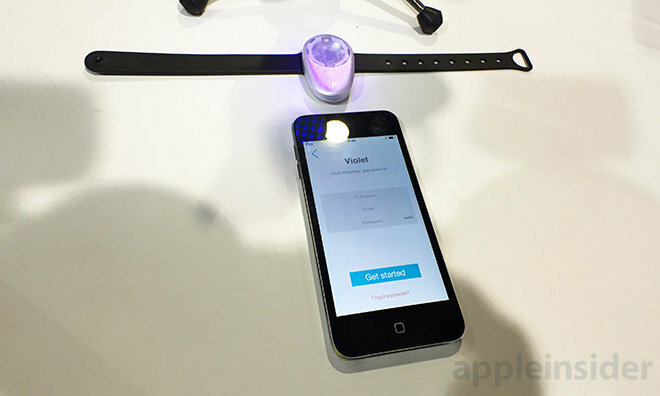 After a successful funding round on Kickstarter, startup Ultra is bringing out its cleverly named Violet UV monitoring accessory for iOS. 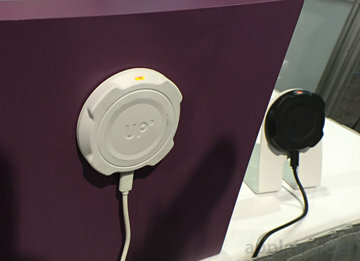 The system consists of a wearable, waterproof UV sensor with built-in Bluetooth connectivity for streaming realtime exposure information to iOS devices. Worn on a wrist, belt, or clipped to a bag, Violet takes sunlight readings to measure the beneficial and detrimental effects of extended UV exposure. Data is offloaded to the accompanying app, which processes the information and alerts users when it determines they've had too much sun. At the same time, the app estimates how long a user has to stay outside to reach optimal vitamin D production. The app is customizable and can compensate for skin type, sunscreen applications, SPF, clothing and more, allowing for more accurate notifications. Further, Violet's software is capable of tracking multiple users at a time, each with their own personalized profiles, useful for outdoor family gatherings and beach days. Violet is normally priced at $129, but customers who preorder before the scheduled April launch only pay $99.